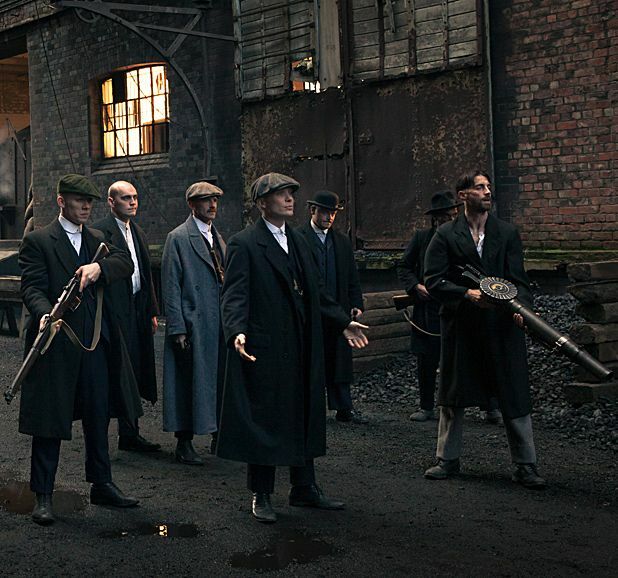 A period crime epic in the mould of Deadwood and Boardwalk Empire, Peaky Blinders follows the story of the Shelby crime family, a Birmingham clan led by the cold and calculating Tommy Shelby (Cillian Murphy) in the years following the end of WWI. The gang – and the series – takes its name from the practise of sewing razor blades into the peaks of their flat caps, and slashing at the eyes of anyone they get in a fight with – and sure enough, by the end of the first two episodes, we’ve seen the damage these deadly weapons can do. Tommy’s arrived back from the war with his fair share of mental scars, but there’s no time to linger: there are horse races to be fixed, a rivalry with former buddy Freedie Thorne (Iddo Goldberg) to settle, cops to bribe, a sister (Sophie Rundle) to look after and a mysterious new woman (Annabelle Wallis) to woo. On top of all that, he has to contend with brutal new Chief Inspector Campbell (Sam Neill), freshly arrived from imposing order in Belfast and set on doing the same in Birmingham. Creator Steven Knight (who previously penned the screenplay for David Cronenberg’s Eastern Promises) sets a lot of plates spinning from the off: Tommy’s multiple immediate concerns are played off against a coal-and-flame backdrop of tumultuous industrial change, the firey forges and smoky, wood-paneled pubs giving the show a gorgeous sepia tone. Murphy’s clinical frostiness is a perfect counterpoint to Neill’s fire-and-brimstone grandstanding, which brings to mind recent pantomime villains like Daniel Day-Lewis’ Bill the Butcher and Ian McShane’s Al Swearengen. The rest of the cast play their parts admirably (especially Helen McCrory’s hard-nosed Shelby matriarch, Aunt Polly), although they occasionally struggle with a script that lurches into clumsy exposition and overwrought dramatics from time to time. The use of anachronistic music to liven things up also feels slightly forced, especially with an overdependence on Nick Cave and The White Stripes. These are niggles that can be ironed out over the course of a few seasons though, and with a great cast, gorgeous cinematography and good production values, Peaky Blinders looks set to go the distance. And we’re sure that, after a few more gruesome hat attacks, the name won’t sound quite so silly. Peaky Blinders, weekly Thu, BBC Two.